Defogger is a very useful device that removes condensed water droplets from the front and rear windscreens, and window panes of a vehicle. Its main purpose is to improve visibility on the road by removing condensed water from the main windscreen. While driving in the rainy season, many times we face the problem of condensed water getting accumulated on the glass surfaces of the car, which reduces visibility and it is difficult to keep an eye on the road. That is why, manufacturers install defogger in cars to reduce the chances of accidents and increase road safety. Almost all cars come with a front defogger and the rear defogger is also present in most of the cars these days. All variants of Honda WR-V feature a front as well as rear defogger for enhanced comfort while driving. The rear wash wiper feature is featured only in the top variants of the WR-V line-up. The variants of Honda WR-V that offer defogger as standard include Exclusive Edition Diesel, Exclusive Edition Petrol, VX Diesel, VX Petrol. 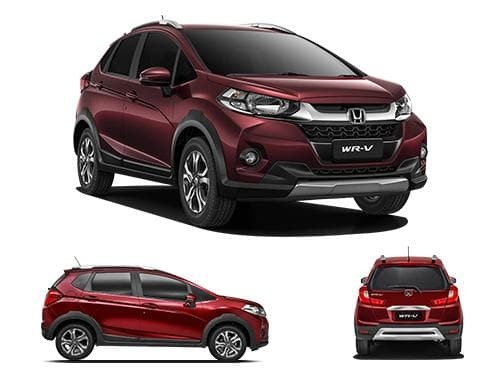 The variants of Honda WR-V that do not offer defogger as standard include Edge Edition Diesel, Edge Edition Petrol, S Diesel, S MT Alive Edition Diesel, S MT Alive Edition Petrol, S Petrol.